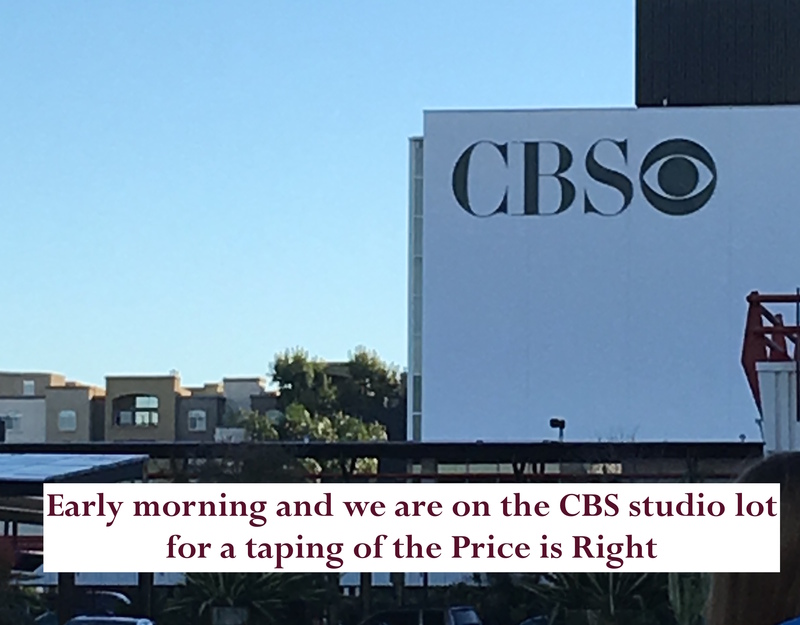 Just a quick follow- up from yesterday’s blog about my going to the social media “awesome” week for the game show The Price is Right. While I can’t divulge any details about the show results, it is safe to say that my garage will not need to be cleaned out for any additional vehicles to reside. It was a fun day and rather longer than expected. We arrived at 8am and left after 2pm. We only filmed one episode that will air on January 27th. In the interest of educating any future attendees of the Price is Right, I have compiled a list of Do’s and Don’ts. 2- Bring sunscreen- you will be outside for a large part of your day. 4- Bring your own lunch and drink – it is very expensive to eat their food. If you park in their suggested parking lot be prepared for a rather steep payment. Note that there are no parking vouchers, so you pay in full wherever you park. There are some really nice people who are in the audience. Newsflash: this can be a very good networking opportunity – so pack a few business cards! We met people from all over the country, including a whole bunch of Mary Kay Cosmetic representatives who were attending a local convention! If you are not a social butterfly then bring a book. They take your phones rather early in the waiting process. Remember that the odds are not in your favor to be chosen, but for those that do hear the words, “Come on Down!”, it seems to be a hoot of an experience! Below is the tweet of a pre- show photo with hubby and friends. I dressed as the “Queen of Tweet”. Our “interviewer” thought that was funny. My shirt says “TeamDrew” as my original outfit was “flagged” for possible advertising. Apparently @LouiseASL and #411Voices are known brands! OY! Sorry, can’t tell you the outcome of the day. But, do catch the Social Media Awesome week for the Price is Right! Final note, if you are in Los Angeles and interested in attending a taping of a television show you may want to check out the On Camera Audiences website to see available shows and dates.